“Starr Striker…” is rated PG-13, for giving zero fricks (3 F-bombs). “All the Fishes, Singing” is rated PG-13, for cuts to skin and scales. 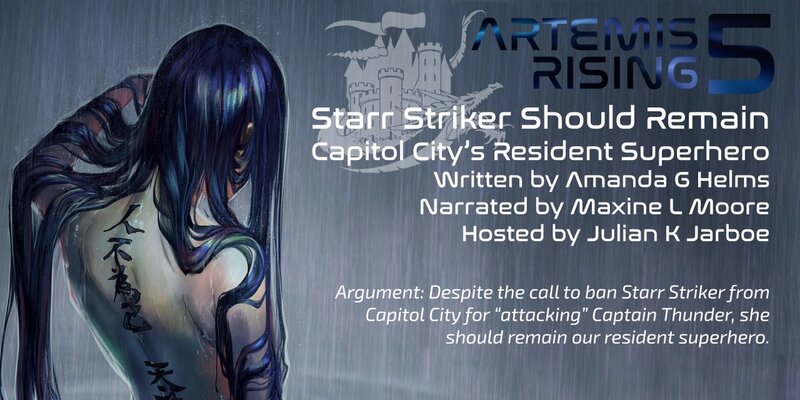 “Starr Striker Should Remain Capitol City’s Resident Superhero, by Keisha Cole, 10th Grade Student” was originally published by Daily Science Fiction. 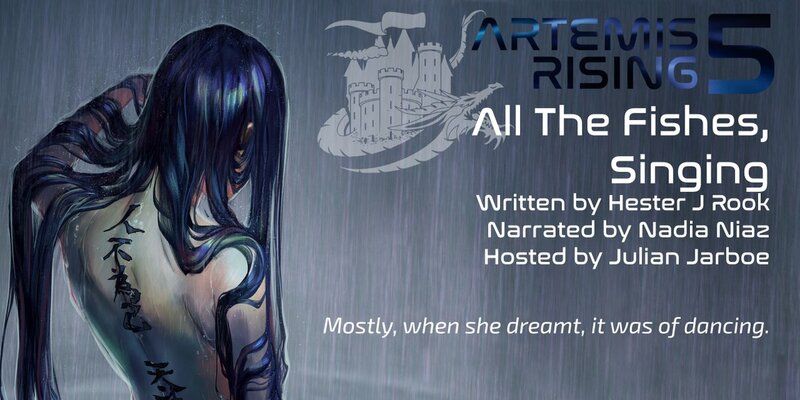 “All the Fishes, Singing” was originally published by Strangelet Journal. Starr Striker was a far more interesting (very) short story of the two. It spoke to a contemporary issue with a fantastical flare. For me, it added enough detail to set the stage in my minds eye and brought me to a thoughtful state. All the Fishes Singing didn't strike a chord for me. I must say that the descriptions and details were quite well done, but just didn't catch up with me. But, that's my problem, not the authors. My personal impression aside, I felt like the prose was an impressive construction. I liked this episode. Star Striker had a somewhay offputting recording style (muted, I had to crank up the headphone amp’s volume to hear the detail). Meh.